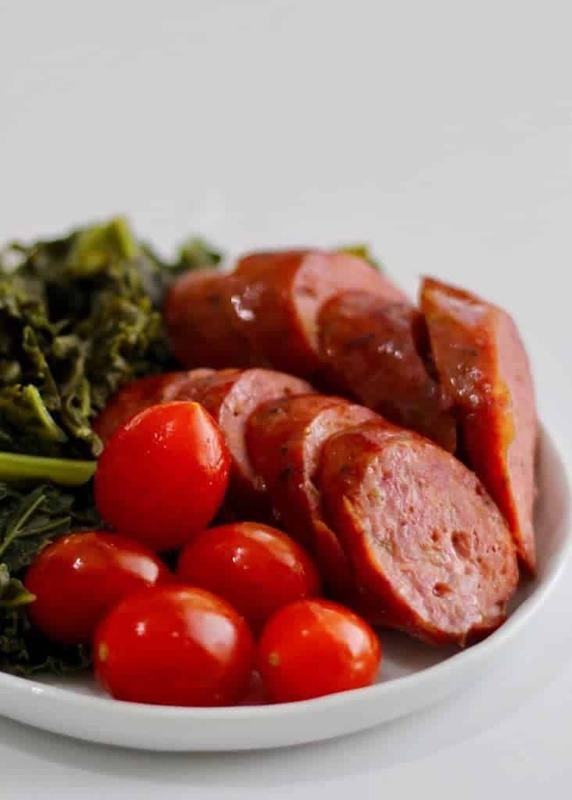 Instant Pot Keto Sausage and Kale recipe is a wonderful, quick low carb supper that requires no pre-planning. Add any other vegetables that will cook in the same time and enjoy a quick meal. It’s hard to call this Instant Pot Sausage and Kale recipe a true recipe in any sense of the word. I wondered about posting it at all. But the last time I posted about cabbage and sausage, it really seemed to have given people a good idea of how to fix a quick keto dinner so I figured I’d post this as well. 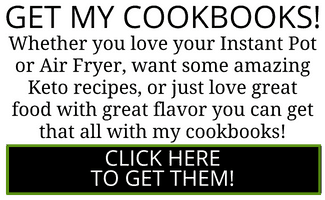 This is what I would call a “some” recipe. As in, throw in “some” kale and “some” sausage and “some of anything else you’d like. But either way, it gets dinner on the table in less than 20 minutes, which to me, is just perfect. 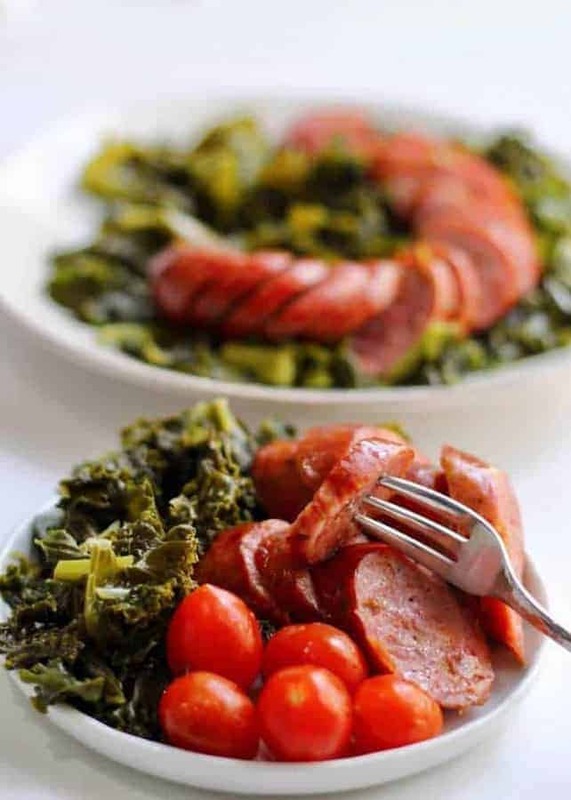 And of course, because you’re cooking this Sausage and Kale recipe in the Instant Pot or your other pressure cooker, you don’t have to babysit dinner. You can serve it with little cherry tomatoes or peppadew peppers to add some color and flavor to your plate, without increasing the carbs. 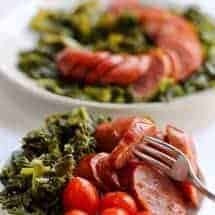 Instant Pot Sausage and Kale recipe is a wonderful, quick low carb supper that requires no pre-planning. Sausage and Kale pressure cooked for a fast meal. Pour all ingredients into the inner liner of your Instant Pot, and cook at 4 minutes for high pressure. Allow it to release pressure naturally for 5 minutes and then release all remaining pressure. 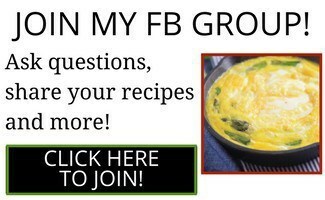 Substitute any hearty greens such as collard greens, mustard greens etc. for the kale. If you'd like to use spinach, either frozen spinach so it doesn't overcook. You can add additional vegetables such as onions, garlic, whole baby carrots, or small butternut squash cubes to your vegetables. Pick vegetables that won't overcook in 4 minutes (no cauliflower or broccoli, for example). My mother tried this tonight as her first ever attempt with the Instant Pot. She died onion and a thinly sliced sweet potato and it was just what we needed on a cold wet night. Can fresh sausage be used with this? Also, am.i supposed to use the steamer rack? It didn’t turn out so well for me. Hi, what is the brand of sausage you are using? Thanks. TBH I use whatever is on sale. As long as it smoked sausage, and all beef or whatever recognizable meat, I buy it ???? 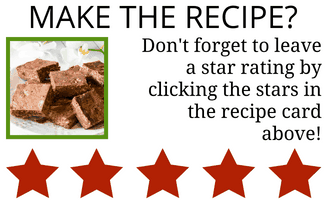 Have you ever tried cutting the recipe in half? I’m only cooking for 2, so 2 sausages is more than enough. I’m just wondering if I can use 1/4 cup of water with only half of the sausage and kale. Yes you can definitely cut in half and yes, 1/4 cup of water is more than enough. The kale and sausage will both release some water on their own. Enjoy! Are the sausages precooked? Not sure what kind of sausage to buy for it. Yes they are precooked, smoked sausages. I tried this last night to use up some fresh kale and sausage that we had in the fridge. It was delicious. I did sauté (in the instapot) a rough chopped onion, the rough chopped kale stems, sliced sausage and 3 crushed cloves before I added the chopped kale and brought it to pressure. Using unsalted chicken stock instead of water was just reflex for me. This recipe was as close as I have come to making southern greens at home. It’s staying my “recipe box” forever! Nice! I love your additions of onions and broth. Bet it upped the flavor quotient significantly. Looks delicious. Sausage and kale go so well together. One question – Only 1/4 cup water? Will it come to pressure with that little? The instructions for the Instant Pot say to use at least 1 cup. So a lot of that liquid can come from the vegetables themselves. I often use veggies and meats to generate water rather than adding water artificially. Many of my recipes call for only 1/4 cup and sometimes even that makes too liquid a sauce. Most meats and veggies release a lot of water.